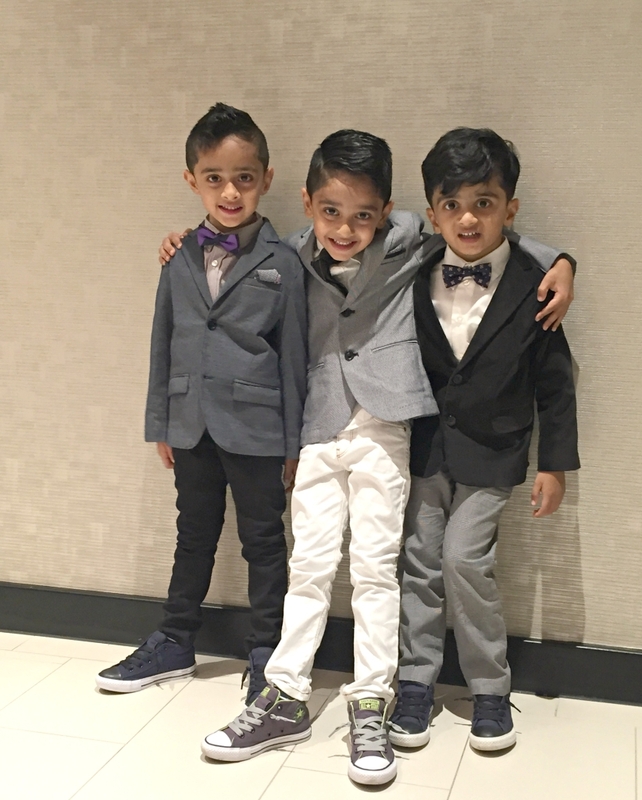 This year, Sheena’s twin boys entered Kindergarten!!! We know, HUGE DEAL, once your child is in “real” school, it is a complete game changer. With the kids growing up so fast, it is like time is just slipping past us and we are becoming puppets in the game called “life.” With every new day we realize that we should be teaching our kids and guiding them in a certain direction, but it is so easy to lose focus on prioritizing that long list with their daily activities and schedules. Sheena’s kids have been in school since they were about 18 months, and one of the main reasons she chose that age to start them, other than early childhood education, was social interaction. In recent years, she has realized how important it is for the kids to learn social, emotional and appropriate behavior. When they were babies, she never really thought about these topics because they always got away with being “babies.” As they are getting older, she sees that often times the kids don’t know why something is right or wrong. With the twins she would get agitated if they got mad at her or raised their voices at her, or if they didn’t understand why they couldn’t just take something out of someone else’s hands. But if you think about it, children have to be taught these life lessons, otherwise they would never know the answer to why. Sheena is sharing some of the books that she and her boys absolutely love that focus on these important lessons that will be a stepping stone in their lives and contribute so much to the kind of people they will become. Who doesn’t love Llama Llama? Baby Llama has been an all time favorite of the kids.These are great books to read with your toddlers to teach some early life lessons about sharing, being patient, and learning trust. The illustrations along with the short rhyming sentences make this book captivating for the kids. The ratio of words per page are a huge plus, because we all know toddlers attention span is close to nothing! 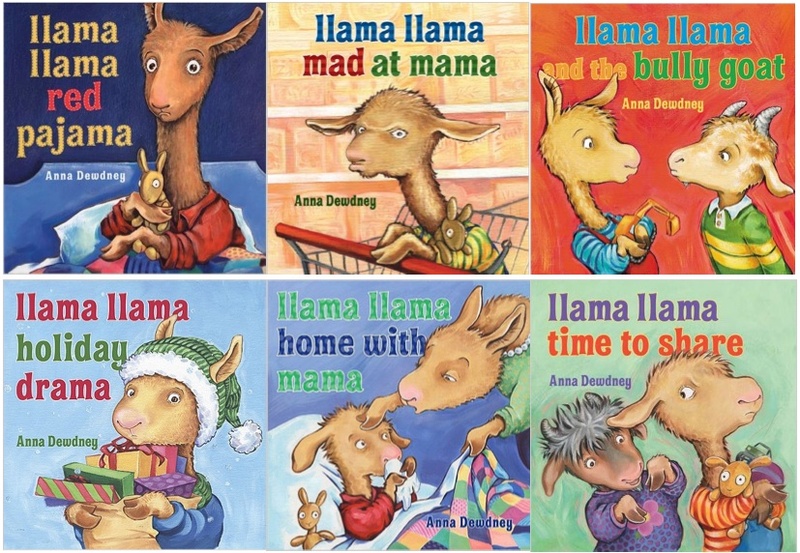 Llama Llama series of books does a great job at conveying the point of view of the child along with making you understand the emotions of the mother, who is teaching Llama Llama how to grow up. Some of the books (like Llama Llama Red Pajama) also have a song version that the kids love singing and it helps them remember the story in the format of a musical! 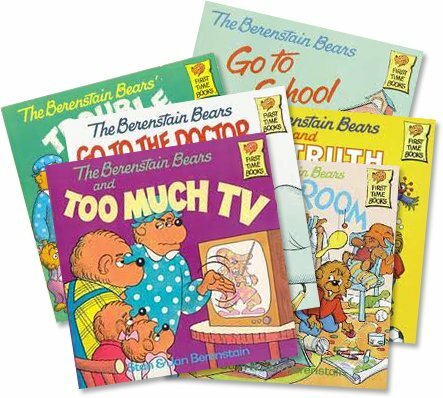 Overall, these books will remain an all time favorite for Sheena’s kids. Having all boys, there has been no love lost with each of them hitting, punching, biting, bothering and abusing each other. Sheena was in the for the shock of her life when she came to realize how much energy and anger boys have compared to girls. So needless to say, we were looking for a fun way to explain the basic do’s and don’ts of behavior. One of Sheena’s favorites in this series of books is “Hands are not for Hitting” as her boys LOVE to hit! This book lends a great way to not only explain how hurtful it is to hit, but more so other things you can do with your hands. Again, with this series of books, the illustrations and length of sentences really helps keep the kids engaged all the while learning the rules of life. 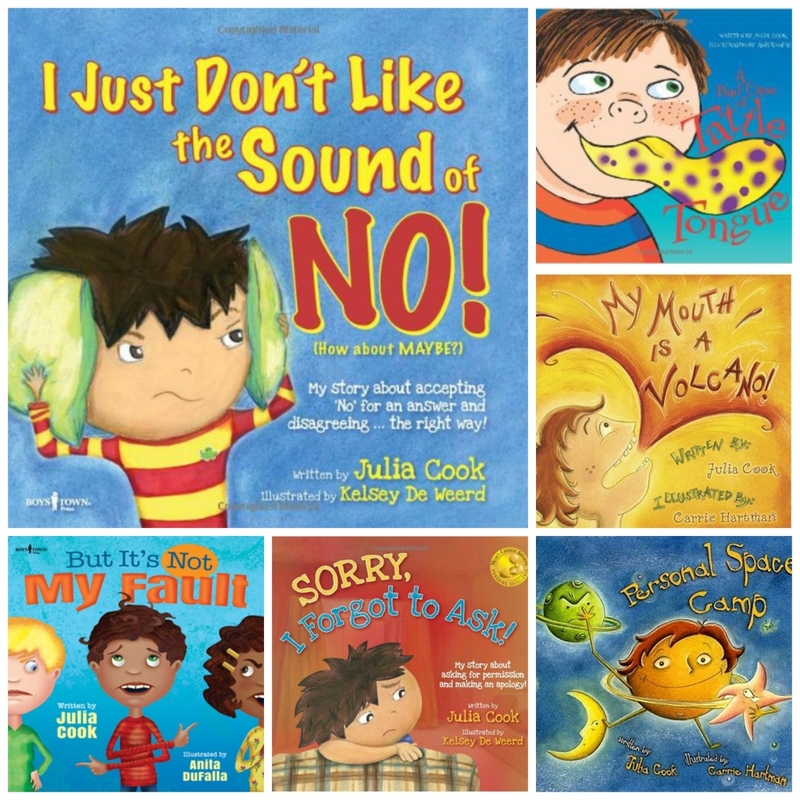 The Julia Cook book series, in our opinion, are more for the Pre-K age and upwards as the series leans more towards advanced behavioral and social aspects for children. The easy, humorous literature makes it easy reads to the kids to keep them laughing and engaged while they’re learning good behavior. We want our children to learn that actions have consequences (good and bad), which this beautifully illustrated. It is so sweet to see them have their own little reactions to what is happening in the books. 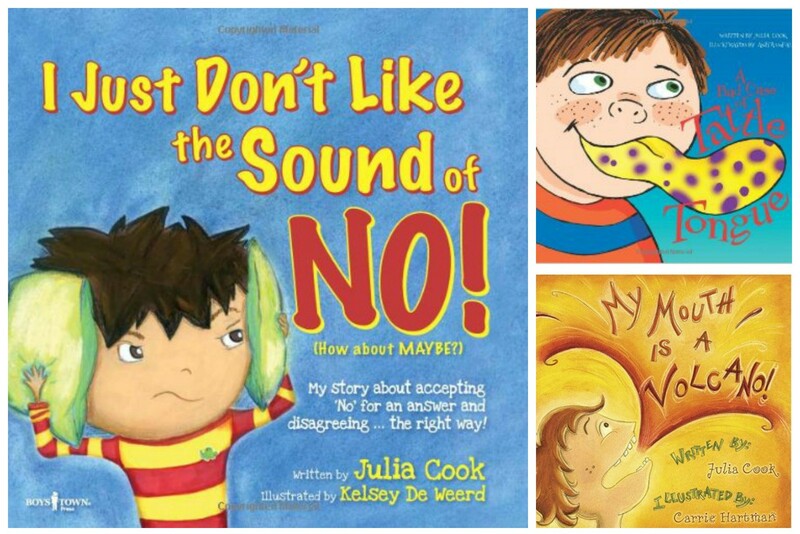 One of Sheena’s favorite books in this series is, “I just don’t like the sound of NO!” Her boys are the masters (as we assume most kids are) of the word NO – whether it’s saying it or ignoring it. The lessons taught in this book fit perfectly with her goal of teaching the boys acceptance, not overreacting to and staying calm and thinking before responding to the word NO. We would love to hear about some of the books you read to your kids that you and they love in this realm. We are always looking for new literature to read to our kids that is engaging and educational on this level. Share your favorites, will you? Note: We have not been paid or sponsored to promote any of these books – These are our opinions based on personal experiences. Great post, thanks! Would love to see one for potty training boys – what worked, what didn’t and any suggestions. Beauty: Nina’s Splurge and Save List! © 2014 - Runways & Rattles. All Rights Reserved.